Akhetaten (or el-Amarna as it is now known) is an important site because it was occupied neither before nor after its short life as capital under Akhenaten. It is ringed by a natural amphitheatre of cliffs on both sides of the Nile and delineated by a series of 15 large stele carved in the rock around its perimeter. On the stele, reliefs show Akhenaten adoring his god in the company of his wife and various of their six daughters, and give instructions that all should be buried within the city’s sacred precincts. To this end a royal tomb was cut in a remote wadi situated mid-way between the tombs of the nobles, now referred to as the North and South tombs. None of the tombs was ever finished and probably few of them were actually occupied. If they were, loving relatives almost certainly rapidly removed the bodies immediately after the king’s death, because of the backlash unleashed against him and his monuments. Plan of Akhetaten, essentially a linear development along the King’s or Royal Road. sun kiosks were located on the routes to the tombs. A broad thoroughfare, sometimes called the King’s Road or Royal Avenue, linked the two ends of the city and was flanked by a series of official buildings, including the royal palace (Great Palace), the new style open-air temple to the Aten (the Great Temple), and administrative offices. 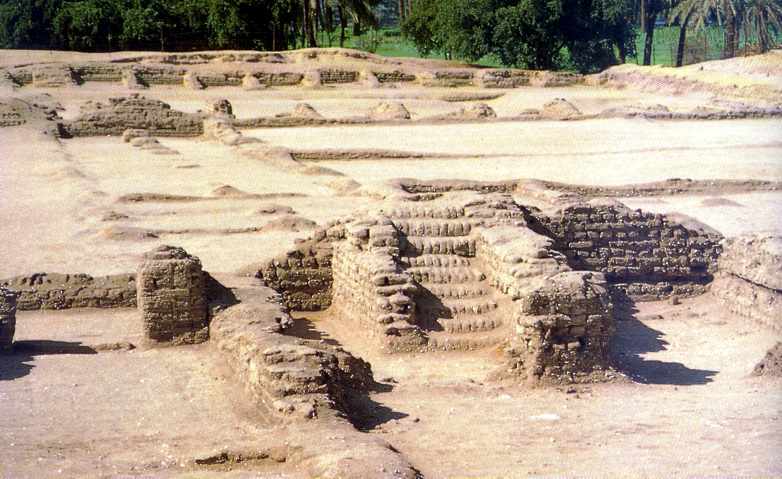 The Great Palace was probably a ceremonial centre rather than a royal residence; the king and his family may have lived in the North Palace (above). The houses of the upper classes (mainly young nobles who had accompanied the king in his radical move) were arranged on an open plan, not crowded together as is usually found in the ancient Near East. Most were lavish buildings, with pools and gardens. The overall impression was that of a 'garden city’. 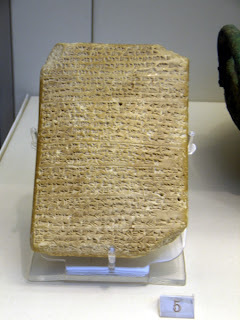 The whole essence of the court and life at Amarna revolved around the king and his god the Aten. Everywhere the royal family appeared they were shown to be under the protection of the Aten's rays. Reliefs in the tombs of the nobles at the site all focused on the king and through him the Aten. Great scenes covered the walls and continued, unlike earlier and later tomb decoration, from wall to wall. The king, usually accompanied by Nefertiti and a number of their daughters, dominated the walls, normally in scenes showing them proceeding to the temple of the Aten in chariots drawn by spirited and richly caparisoned horses. Small vignettes occur of men drawing water using shadufs (the ancient bucket and weighted pole method that until recently was a common sight in Egypt, but is now fast disappearing); fat cattle are fed in their byres; blind musicians, their faces beautifully observed, sing the praises of Akhenaten and the Aten. Everything is alive and thriving under the king’s patronage through the beneficence of the Aten. Very unusually in the study of Egyptian history, we have evidence which provides a close insight into the diplomatic policy of Akhenaten’s reign (rather than having to rely on the more official bombast of temple reliefs). In the 'House of the Correspondence of Pharaoh’ at Amarna, i.e. 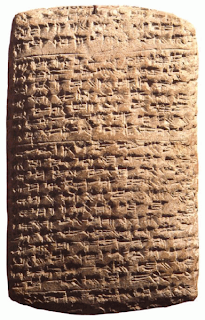 the Record Office, a local woman digging for sebakh (broken down mudbrick used as fertilizer) in 1885 found an archive of clay tablets inscribed in the wedge- shaped cuneiform script (below, British Museum). At first thought to be fakes, they turned out to be the diplomatic correspondence received in the Amarna Foreign Office from kings, chieftains and outposts of the rapidly failing Egyptian empire in the area of Syria. 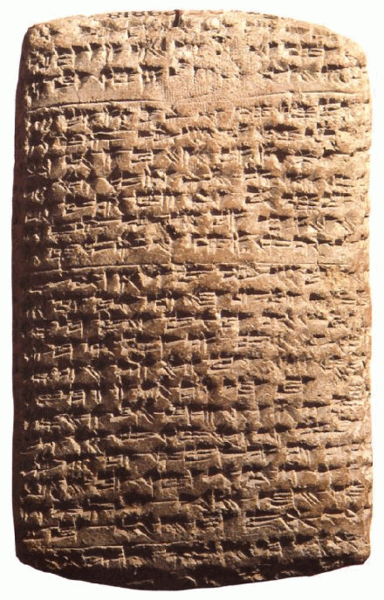 They were written in Akkadian, the lingua franca of the ancient Near East. Many, sent by minor chieftains under attack from Egypt's enemies, promise continuing loyalty to the Egyptian crown just so long as gold and supplies could be sent. Sometimes letters from protagonists and antagonists shrilly accuse each other. Most of the appeals apparently went unheeded by the king, who was far too concerned with expounding his new religion to take notice of such requests. One letter asks after the health of the Queen Mother, Queen Tiy, presumably then widowed and residing at Akhetaten (other evidence also seems to support this, p. 119). If she was, it is interesting to note that Akhenaten was prepared to overlook his hatred of the old religion in allowing her to be buried in her husband’s tomb in the western Valley of the Kings.